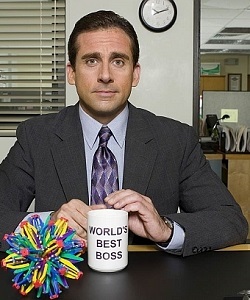 So here are five ways to wow your boss at work. Nothing impresses a supervisor or manager more than seeing an employee get into work before them in the morning or stay behind after regular hours. It may be true that in today’s working world extra hours are often par for the course in many occupations, but the boss will be appreciative if they see an employee, especially a new employee, make that extra effort. It shows commitment to the job and to the organization when someone stays later to finish off a project or arrives a few minutes early to get a quick start on the day. Employers notice this commitment and it seldom goes unrewarded when it comes time for bonuses, special recognition, or promotions. Volunteering is another good way to get your supervisor to see your dedication and commitment to the organization. People who volunteer for extra work after they have completed their own or offer to take on a difficult assignment become the go-to guys and gals of the organization. It doesn’t have to be a lot, and it certainly doesn’t have to be all the time, but sticking your hand up every so often will bring a lot of benefits. These include a smile on your boss’s face and often much more than your well-deserved pat on the back. Volunteers create their own buzz at work, and managers and employers love people who volunteer. When things go wrong at work, many people just duck under their desks and pretend that nothing happened. Or that they had nothing to do with whatever bad thing just occurred. If you want to get noticed in a positive way by your boss or supervisor, the next time there’s a screw-up, speak up. Take your own share of the problem that has been created, acknowledge your part, and whatever else you do, don’t blame anybody else! Even if it was almost all a certain person’s fault, it is not your job to lay blame or finger the culprit. This will only make you look weak and ineffective in front of your manager. You can talk to the other person later, but don’t publicly name them or their mistake. Speaking of mistakes, there is nothing that will make a boss glow like an employee who can fix their own mistakes. The first time you make a mistake you will almost certainly have to ask for help. That is after all how we learn. But by the second or third mistake your boss would really like you to figure it out and fix it on your own. Once you master that you can work on not making the mistake ever again. That will really wow your boss. Because that will mean that you are finally acting like an adult in the workplace, not only cleaning up your own messes, but making fewer of them as you learn and grow at work. Some employees say that they’d like feedback on their performance at work, when in reality all they want to is to hear their boss say that they’re doing a good job. That’s nice when it’s true, but from an employer’s perspective, they want employees to continuously improve at work, both in performance and productivity. The way to improve is to practice and to be coached in order to hone our strengths and improve on our weaknesses. If you really want to wow your boss, then start paying attention when they give you advice and guidance, and go even further by asking for feedback. If you listen to their suggestions and actually implement some of them in your work you will not only impress your superiors, you will be moving solidly into wow territory. We all have different ways that have helped us impress our supervisors. What has worked for you? Please share in the comments. Volunteer: Don’t you have enough work to do? And still working so many hours…? Be careful with what you do here. If someone wants to get rid of you he can use those two topics perfectly to prove that you are better fired.